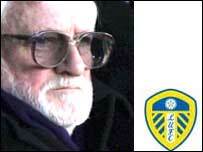 Ken Bates has regained control of Leeds Utd following a recount of votes taken at last week's creditors' meeting. After putting the club in administration with debts of £35m on 4 May, Mr Bates required 75% of creditors' votes to buy the club back. The recount showed that 75.2% of creditors backed his plans to offer them just 1p in the £1 of debts owed. His plan faced strong opposition at Friday's meeting, with some creditors backing rival offers. "I am satisfied that, in voting to accept this proposal, the creditors have approved a solution that allows the club to plan ahead for next season, reduced uncertainty for all those with an interest in Leeds United, provided some return to creditors and avoids liquidation," said joint administrator Richard Fleming of KPMG. The administrators said last week that there were five consortia who had proved they had the funds in place to buy the stricken Yorkshire club. While KPMG refused to say who were Mr Bates' rivals, local property developer Simon Morris and Duncan Revie, son of former manager Don, had lodged an interest. The Football League issued a short statement, "noting the decision" of Leeds' creditors to approve the proposed Company Voluntary Agreement (CVA). "The League has confirmed to the administrator that conditions must be satisfied before the League board can consider transferring the club's share in The Football League to the new company," it read. "These conditions include the need for all 'football debts' to be settled in full." The League will make no further comment during the 28 days it will take for the CVA to be formalised. During the 28-day period any creditor who wishes to dispute the sale can pursue the option of taking the matter to court. "The important thing now is we make progress," said Mr Bates. "There's been a suggestion of challenging what has happened, but you can't challenge for the sake of challenging, you have to have a reason. "If someone decides to challenge what's happened they will affect the running of Leeds United - and we will take them on because we want to move forward." Mr Bates, formerly owner of Chelsea, arrived at Leeds Utd in January 2005, when he bought a 50% stake. The club went into administration last month, a move that meant it was docked 10 points which ensured its relegation to League One. Leeds Utd's financial problems stretch back several years. In 2001, Leeds reached the semi-final of the European Champions League, however, despite spending millions on players, the club failed to qualify for the competition in the following seasons. This failure to qualify led the club to rack up huge debts. In October 2003, Leeds reported a pre-tax loss of £49.5m for the year to 30 June 2003, which at the time was a record annual deficit for a Premiership football club.